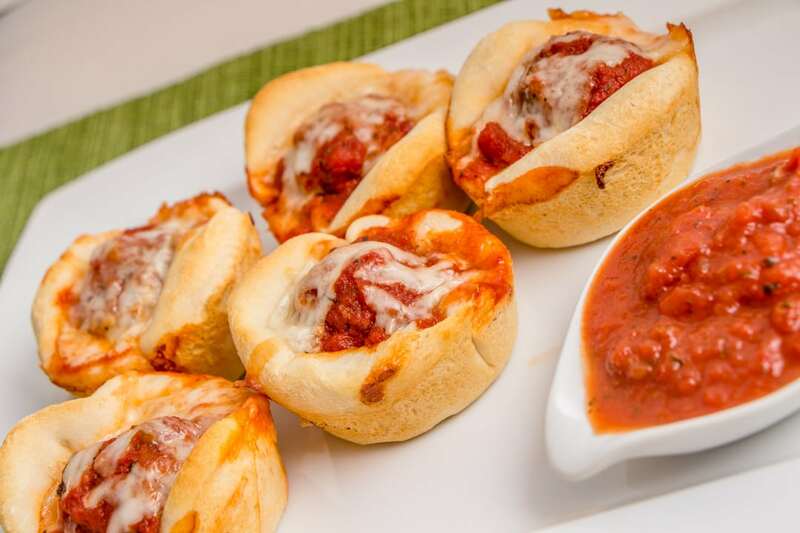 Meatball Cups are a simple quick snack that are easy enough even the littles can make. When I’m in the kitchen, my children always seem to follow. I love to give them opportunities to find success so creating recipes that are easy for their little hands are perfect to help them feel more comfortable in the kitchen. Besides, they always seem to eat better when they help prepare the food. 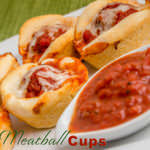 Perfect afternoon snack, or take for a potluck, the Meatball Cups are sure to be a hit. 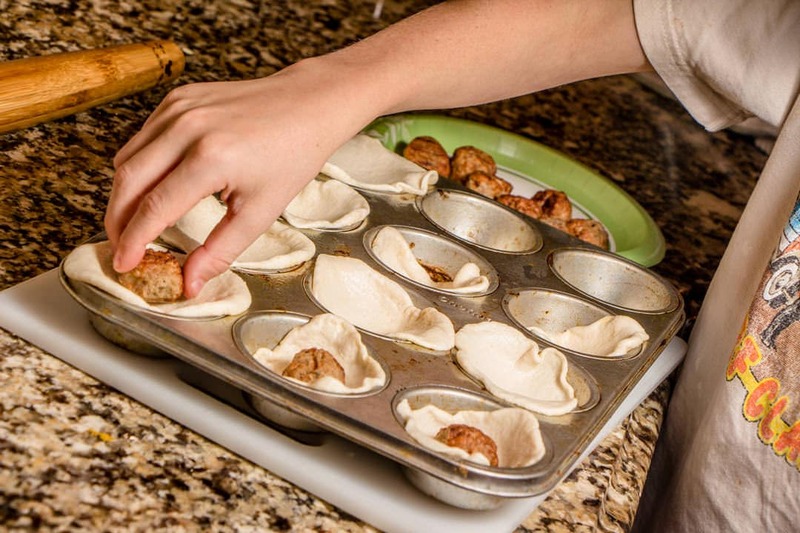 My son who helps me often in the kitchen loves these Meatball Cups for a little snack. But don’t think this is just for the littles. 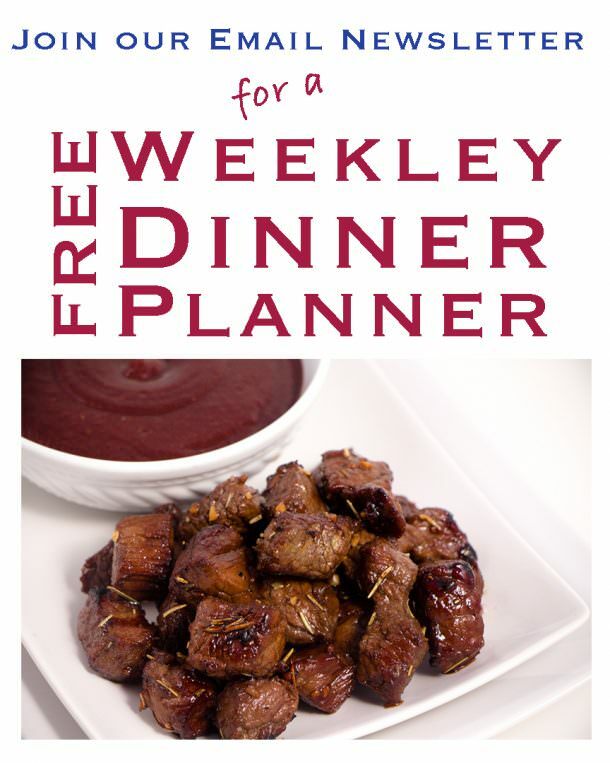 You can always make the fresh marinara sauce to go with this and serve this at a dinner party, bring it to a pot-luck, or when the group of teen-agers bombards your home. Anyway you look at it, it’s sure to please. Recipes for kids made my kids to try. But even the big kid in us adults will love these recipes too! Simple Easy Snacks even the littles can make! 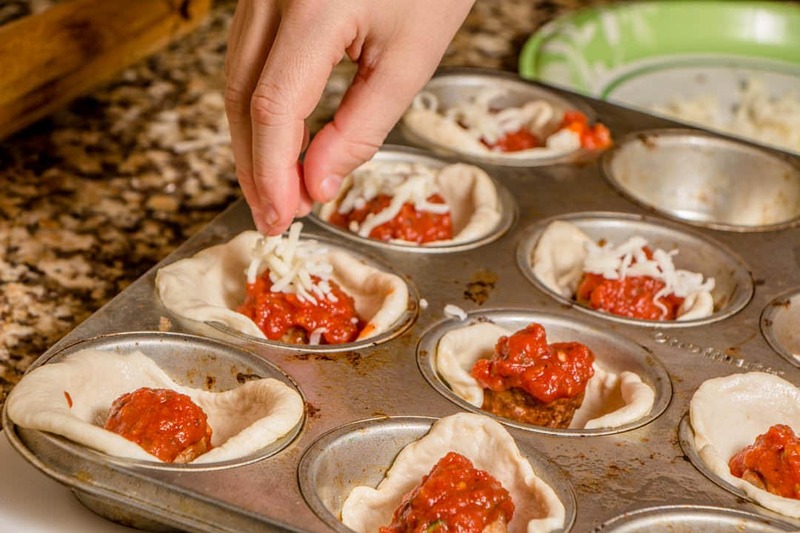 Meatball cups are great for after school snacks. 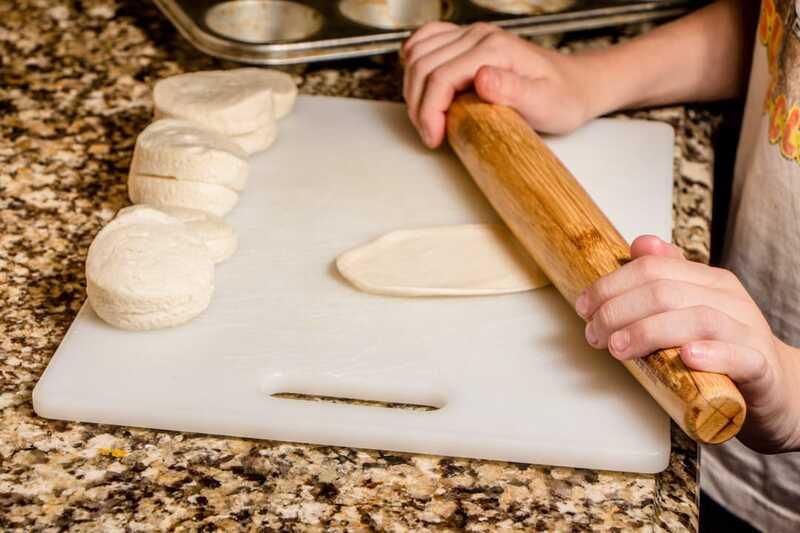 On a flat surface, use a rolling pin to press each biscuit to make larger. Biscuits should be 4-5inches in diameter to fit nicely in muffin tin. Place rolled out biscuit in tin and place 1 meatball on each biscuit. 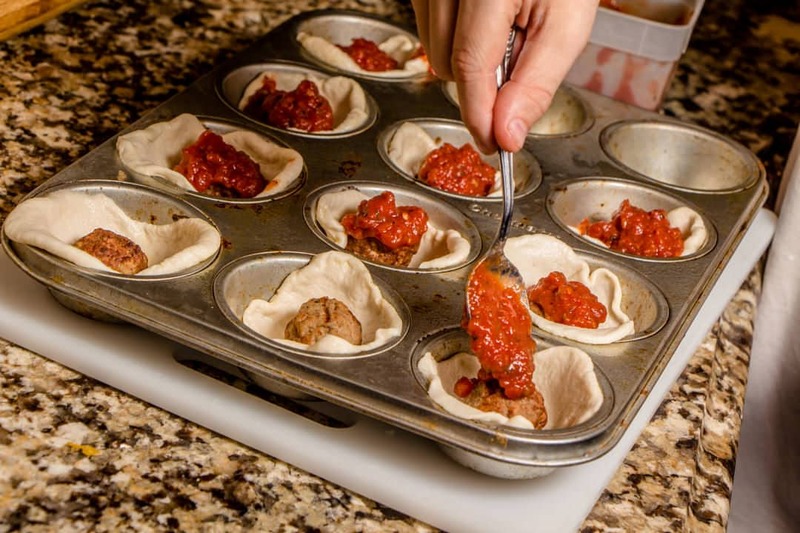 Add one large spoonful of Pizza Sauce on top of meatball. Sprinkle Mozzarella Cheese on top of each one. Bake at 350F Degrees for 15-18 minutes or until light golden brown. Remove and serve with extra sauce for dipping. Do you have to defrost the meat balls first? I use them partially thawed. I just leave them on my counter for an hour or two before we make them or throw them into the microwave to speed it along. These look SO CUTE (& delicious)! Plus, I love the extra pizza sauce on the side!